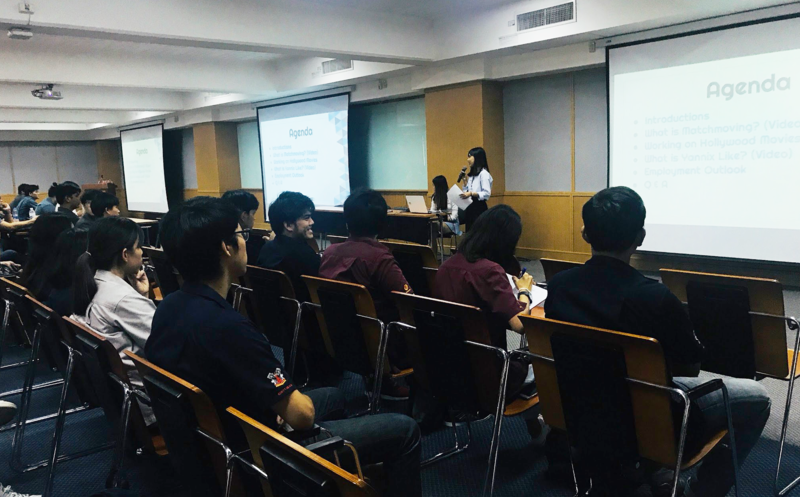 Yannix HR Recruiting Talk at KMUTT – Yannix(Thailand)Co.,Ltd. Yannix Head of Human Resources, Piyana “Nuch” Sukanghong, Software Development, Natchapol “March” Thongruang, University Relations Representative, Korlapat “Tarn” Kulkasem and Pajaree “Mint” Sungvianwong delivered a talk during the post training graduation activities for the Faculty of Engineering (FoE) at King Mongkut’s University of Technology Thonburi (KMUTT). 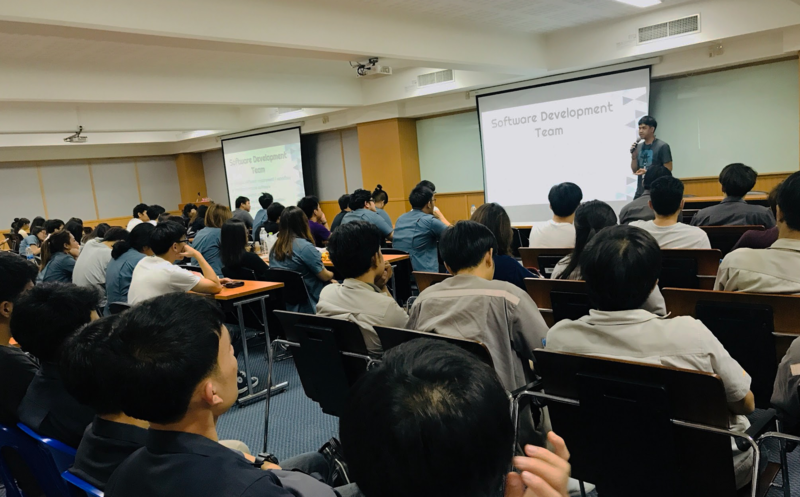 The title of the event was “Work with Hollywood, Live in Thailand.” For the most part, the talk introduced the idea that at Yannix we offer qualified candidates the opportunity to work on Hollywood blockbuster films without having to relocate outside of Thailand. 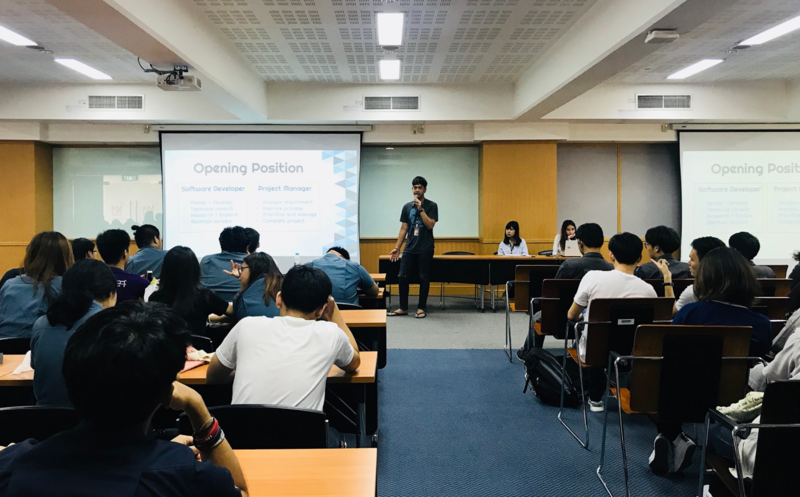 The message was well received by the 140 students who attended the 90-minute event, which took place from 1:00pm to 2:30pm at the 2nd floor Meeting Room, FoE, KMUTT. Yannix would like to thank everyone who attended this talk. We look forward to participating in future events at KMUTT, and we hope some of those in attendance will someday join us as we continue to grow as an organization.